Philip Pullman – a staple of every ‘90s kids reading list with the His Dark Materials trilogy – will be one of the headline speakers at Durham Book Festival. 3,000 free copies of opening instalment Northern Lights are being dished out to festivalgoers to celebrate its 20th anniversary – and Pullman will be giving a talk at the Gala Theatre on Saturday 17th October, preceded by a showing of big screen version, The Golden Compass. On a not-entirely unrelated note, film fans should get to the Town Hall on Saturday 10th October for a discussion with Tinker Tailor Soldier Spy scriptwriter Peter Straughan on the dos and don’ts of the literary adaptation. Organisers have also dispatched BBC DJ (and local lass) Lauren Laverne to make a short documentary about the on-going Yves St Laurent exhibition Style Is Eternal at the Bowes Museum. She will be discussing the French fashion designer’s legacy alongside Lauren Craik from new lifestyle website The Pool (Durham Town Hall; Sunday 11th). This is not the only instance of girl power: Caroline Criado-Perez will talk about women’s rights campaigners around the world later the same day, while retail queen Mary Portas will be reading from her new memoir, Shop Girl, at the Gala Theatre on Friday 16th. Up-and-coming writers form a pivotal part of the programme; the winner of the Gordon Burn Prize – celebrating the UK’s most fearless contemporary scribes – will be announced at a special do at Durham Town Hall on Friday 9th. If you’ve worked up a thirst, join a gin tasting session with 101 Gins to Try Before You Die author Ian Buxton, at Palace Green’s Courtyard Café the following evening. That’s not forgetting the Durham Moot strand of the programme, which will be discussing the political, social and cultural issues facing the North East. Acclaimed writer Richard Benson and photographer Keith Pattison will tell the stories of people affected by the miners’ strike (Palace Green Library; Sunday 11th), while Selina Todd will be reading from her book The Rise And Fall Of The Working Class, which reveals the hidden history of 20th Century Britain through the lives of factory workers, miners and housewives at Durham Town Hall on the same day. A wider look at modern day Blighty is given in an invigorating series of talks from Yasmin Alibhai-Brown, Chris Mullin and Vince Cable at the Town Hall on Saturday 10th. The Festival has a strong reputation for original commissions and this year is no exception; a new song cycle written by poet Sean O’Brien and composed by Agustín Fernández – inspired by the lead mining industry of the North Pennines – premieres at the Gala Theatre on Thursday 15th. Guests including Frances Leviston (Durham Town Hall, Saturday 10th), Clare Pollard (Palace Green Library, Sunday 11th) and Festival Laureate, Sinéad Morrissey (Palace Green Library, Saturday 17th) will be on hand to provide a strong poetry element to proceedings. Time to clear your reading lists and swot up on some of this year’s highlights! 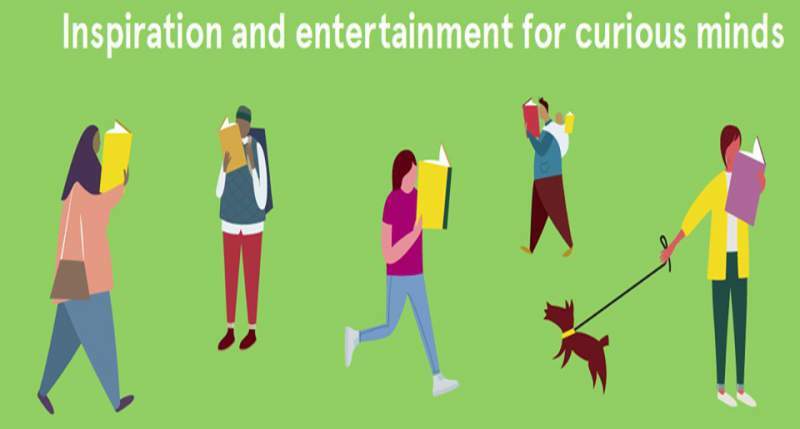 Durham Book Festival takes place at various locations in Durham from Tuesday 6th until Saturday 17th October.